This is an electronic capture of fingerprints through an optical scanner at our office. The scanned fingerprints along with the application details duly formatted in an electronic package are emailed via a secure link to police services. This package is compared with their criminal record database. If nothing is found, the police services will issue a certificate showing a clear record otherwise convictions are listed. A transcript indicates either a clear record or lists convictions. (a) Employment with Corporations and Agencies. (b) Applicants for passports, Visas, Work Permits, Foreign travel and US Waiver. (c) Pardon (Now called Record Suspension) applicants. Q. What is the processing time taken for digital fingerprints by the police services? (a) If no record – 7 – 10 working days. (b) If record found – Approximately 120 days or more. 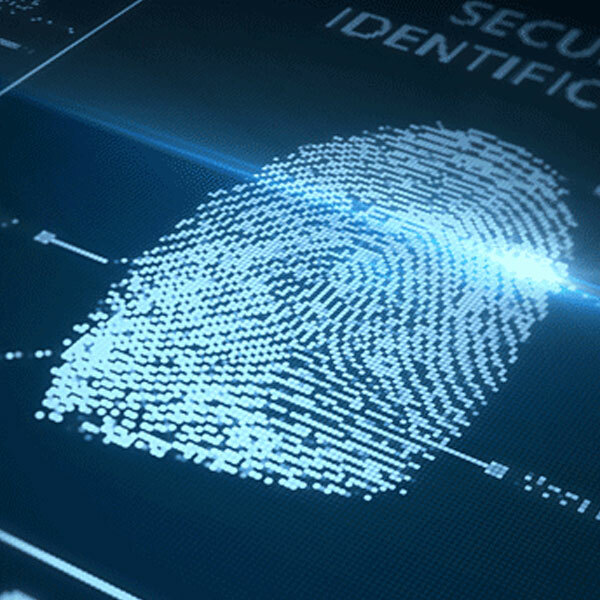 FEES Digital Fingerprinting - $ 50.00 (plus $25.00 RCMP fee if applicable). (Rates are subject to change at any time) Method of Payment We accept cash, debit cards and major credit cards. East West Fingerprinting is one of the Accredited and Certified Private Fingerprinting Agency on RCMP Web Site. We offer services to Visitors/Students/Workers who remained in Canada for more than 6 months and Canadians currently residing in abroad and require a Canadian Police clearance. Our professionals can convert fingerprints taken by any Police Service worldwide into digital for RCMP certification within 8-10 working days, the maximum at a Canadian address. We believe in fast and effective solutions for our clients. We understand that Canadian Embassies/Consulates around the world may not have adequate resources or facilities to provide you with a RCMP Criminal Record Check while living abroad. At East West Fingerprinting, we are here to help such clients. If you are a Canadian citizen or a foreigner who is living or has previously lived in Canada, you can now receive your Canadian Police Clearance through us. We are certified to receive your fingerprint based Police Clearance from the RCMP. We save your time and money. You do not need to travel back to Canada to apply for your Police Clearance. We will process your application and submit your fingerprints taken from a local police station in your current country of residence on the Form C216-C. Our professional team is capable to digitize those to electronic one. The RCMP processing time for digital fingerprinting is within 72 hours after the submission. Your privacy is always ensured by East West Fingerprinting to keep your results strictly confidential. FEES Card Scan - $200.00 including $25.00 RCMP Fee and applicable taxes. (Rates are subject to change at any time) Method of Payment We accept cash,e-transfer and major credit cards. We still do traditional ink & roll fingerprinting on required basis. These are being used by the clients for obtaining police certificates from other countries, FBI Clearances, getting their old passports renewed, making ID in previous countries, Security clearances etc. FEES Ink & Roll Fingerprinting -$40.00 (Additional copy with $10.00) as RCMP Fee if applicable. (Rates are subject to change at any time) Method of Payment We accept cash, debit cards and major credit cards. A Police Certificate is generally issued for people who are leaving the country and seeking employment in private sector and require a Criminal Record Check. This includes visa applicants, foreign travel, and foreign work permits. People who want to apply for private sector employment, renting a house/basement, applying for school admission etc in Canada can also apply for this certificate on required basis. We encourage you not to apply for this certificate if you have a criminal conviction. We send your request duly completed to police authorities electronically (which is called E-CPIC). Police Certificates based on your name and date of birth are issued and cleared within 48 hours. FEES CPIC -$45.00 (Additional copy with $5.00) (Rates are subject to change at any time). $100.00 for international clients. Method of Payment We accept cash, debit cards and major credit cards. Be the person changing their own name, or a person making application to change their child's name. Have resided in BC for at least three months prior to making application, OR be domiciled in BC for at least three months just prior to application. Person who wants to change his/her name is over 18 years of age and is required to be fingerprinted taken by an accredited fingerprinting official. The fingerprints are submitted to the RCMP Ottawa to update any existing criminal records after the change of name is registered. Your fingerprints copy, consent form and amount paid (including RCMP Fee paid) receipt will be handed over to the individual for attaching with your application to be mailed to Vital Statistics Agency in Victoria. FEES Digital fingerprinting - $50.00 plus $25.00 RCMP Fee Application Fee - $30.00 plus notarization charges Vital Statistics service fee -$137.00 per person Method of Payment We accept cash, debit cards and major credit cards. After passing your BST I and II examination, one has to apply for a proper security license. It is a crime to work in BC without a proper security worker license. If you are an individual applying for your security license, East West Fingerprinting & ID Services can help you. Our friendly professionals can provide you, cost-effective assistance with security license renewals or applications for individuals and group employees. We can capture and submit your fingerprints digitally to The Registrar, Security Services Act in Victoria BC, making copies of your IDs, check over your application in detail and ensure your application is ready to submit to The Registrar. The license can be expected in 3-4 weeks as per the Security Programs Division which is updated on their Web Site from time to time. FEES Digital fingerprinting - $40.00 plus $25.00 RCMP Fee Application Fee - $25.00 plus Ministry of Justice fee (depending upon # of years) Method of Payment We accept cash, debit cards and major credit cards. A Record Suspension (Previously called Pardon) is an official authorization by the Canadian Government, which allows individuals who were convicted of criminal offences to suspend their criminal record regardless of whether charges ended with a conviction, or charges which were later withdrawn, dismissed, stayed, absolutely or conditionally, a police certificate states of your negative contact with them. In Canada, a criminal record is an obstacle on your ability to travel across borders, obtain a job, and obtain business contracts. This situation is preventable if you obtain a Record Suspension. At East West Fingerprinting, our professional team is here to assist you in fulfilling all of your application requirements. Our assistance ranges from conducting a criminal record search, to digital fingerprints, to retrieving court information and collecting relevant documents from Canada Government agencies in order to prepare your application. We can simplify the process and give you the assistance you needed. When you can apply for a Record Suspension (Pardon)? Suspension to clear your criminal record, you must fulfill the following eligibility requirements:- Please note that:- Any convictions carrying a life sentence cannot be pardoned. NOTE: - Under the authority of the Criminal Records Act (CRA) the National Parole Board of Canada (NPBC) may grant, deny, or revoke your Record Suspension / Canadian pardon for convictions. We do not provide legal advice. Parole Board of Canada Application Processing fee (Payable to the Receiver General for Canada)$631. *Fees may vary from case to case. Fees Digital Finger Printing $50.00 plus $25.00 (Rates are subject to change at any time) Method of Payment We accept cash, debit cards and major credit cards. There are many reasons a person may be ineligible to enter the U.S. You could be denied entry if you have a communicable disease, if you have a criminal record for crimes of moral turpitude (age 18 or older), for possession of or trafficking in a controlled substance, if you have any involvement with terrorism or terrorist organizations (no waivers can be approved for this category), if you have trafficked in persons, been involved in money laundering, might become a public charge because of limited financial resources, have been previously removed (deported) or have overstayed a previous period of admission to the U.S. Again, this list is not comprehensive and you should use the above link to read the complete list. Why Apply For a U.S. Entry Waiver? Every day, thousands of Canadians travel to United States of America for business and leisure. However, over the last decade, there has been increased concern over cross border security. If you have a criminal record in Canada, you may be required to apply for a US Entry Waiver to legally travel into the United States of America. Having criminal record charges being laid in Canada automatically makes an individual inadmissible to the United States. Even if your charges were later withdrawn, dismissed, stayed, absolutely or conditionally discharged and regardless of whether the criminal charges ended up in a conviction, the US Customs officer can deny your entry. We can help you in getting your criminal record check from the RCMP and further in completing your application. For more information you can visit https://help.cbp.gov/app/answers/detail/a_id/760/~/entry-into-the-u.s.---canadian-with-criminal-record-or-overstay,-waiver. FEES Digital Fingerprinting - $50.00 plus $25.00 RCMP Fee Department Of Home Security Fee: $585 US Application Fee - Varies from case to case. (Rates are subject to change at any time) Method of Payment We accept cash, debit cards and major credit cards. East West Fingerprinting & Identification Services Ltd is working on behalf of a Police Service to conduct digital fingerprinting within Canada. Our services are securely and directly linked to them. Our company complies with all federal, provincial and municipal privacy laws. Moreover, we are visible on RCMP Web Page. Fingerprint based criminal history screening is on high demand at present with the need for greater security. Many corporations and agencies are now requiring both employees and volunteers to be fingerprinted for this. It is expected with the general availability of this service and the RCMP's growing ability to respond screening requests that this will become broadly accepted as the standard method of identity assurance throughout Canada. East West Fingerprinting & Identification Services Ltd takes care of your identification and security needs. We serve the lower mainland community which includes Surrey, Delta, Vancouver, Richmond, Burnaby, New Westminster, White Rock etc. We are able to capture and submit digital fingerprints to RCMP via electronic devices and the process is fastest with most reliable results available. We also provide CPIC services (also called name checks or police clearances) and these are cleared within 48 hours. These services are delivered by our friendly and professional staff in multi languages at lowest rates in comparison to other companies. No appointment is necessary. Employment with Corporations and Agencie. Applicants for passports, Visas, Work Permits, Foreign travel and US Waiver. Pardon applicants. International adoption applicants Security license applicants/Name Change. Permanent resident, immigration and citizenship applicants. What is the processing time taken for digital fingerprints by the police services? If no record – 7 – 10 working days. If record found – Approximately 120 days or more. What is the processing time taken for Ink & Roll fingerprints? If no record –Approximate 120 days. If record found – May exceed 120 days. Q. Do the fingerprint results include a transcript? Yes. A transcript indicates either a clear record or lists convictions. Q. How much time will it take to get my fingerprints? * Digital process 15-20 minutes to complete. * Ink & Roll 8-10 minutes to complete. * CPIC 6-8 minutes to complete. Q. Who can choose digital fingerprints? Most of the applicants choose this service to complete their applications being the fastest one. In the case of submission to FBI, applicants are to be fingerprinted with ink & roll as per their requirement. But our professional staff can best advise you for these services to fit in. You can call us at 604 -593- 5361. Q. How results are obtained? A criminal record verification result is sent directly to an individual or to a third party such as immigration or pardons agency or an employer. For under age of 18 years applicants, the results are returned direct to them at their home address. I have used their services twice now and have received very prompt responses to any enquiries I had. They are also very quick with obtaining police checks once they receive your documents. Amazing experience, I went there last week for my fingerprints, they were really polite and gave me best service that we expect from any company....Highly recommended. Just wanted to say thank you to yourself and your team for your help with our record checks. Thank you very much for your service, the police certificate was well received earlier this week. I've had a great help from East West Finger printing company with my request from overseas. They were also very patient and competent with all my questions during the process. I completely recommend.. I have received my NOC from Dubai Police. Thank you for your good service and Corporation. Very well and quick serivce and of course reasonable price.. Very very good Service. I do appreciate especially Avtar Sidhu and recommend everyone to go there for such services. Thank You. My wife and i utilized East West Fingerprinting to obtain the Canadian Police Check for another overseas application. The staff was super professional, well prepared and agile. We Certainly recommend it!! East West has been wonderful. I needed to get an RCMP check from Australia, and thanks to their efficiency, I received soft copy of the document before hard copy of the Australian equivalent arrived in the mail here. Excellent service! i needed a RCMP Police Check for my PR. it came earlier than expected! The staff are very professional and friendly. The whole process was easy and stress free. I highly recommend them. Thank you so much for your wonderful help. My sister in Vancouver received the criminal check and sent a copy to our lawyer in the US. You are lovely, thank you so very much for your speedy service: Highly recommended. Thank you so much for your services. Your speed in processing everything was greatly appreciated! Thanks very much to you and your team for this help. Really appreciate your help. I wanted to kindly let you know that i have received my Canadian Police Certificate and also to express my sincere gratitude to you for assisting me in the process. Thank you and have a good day. This is been a wonderful experience with you for whole process. That's great, thank you very much for your assistance. Much Appreciated. Great service. I send it the info in the morning within few hours it was already look at and processed. They fix my application when I mistake instead of me returning back. Avtar is very professional. Thank you! Fantastic, thanks very much Raman! I will be sure to leave a glorious review on your website! All the best. Thanks so much for your effort, I really appreciate it. I will sure go on your website and give a superb review! You guys did a great job!. Thanks so much for all of your assistance!. Thank you so much for all your assistance. You have been wonderfully helpful and efficient in assisting me in this matter. I am so grateful to you all. Thank you so much Ramon. Appreciate your service and speediness . Thank you guys for the real great quick job. I really really appreciate it. Very very quick, responsive and professional service. Highly recommended. I have been using their service in the past few weeks and they were very helpful and provide very fast response. I was actually the one who need to catch up with them. I was using the digitize finger printing service from them for all my needs. Thank you so much for this. I added my review on google search. You provide an excellent service. Thank you very much Raman for your prompt service. I appreciate it very much. Thank you so much for your service! I was really impressed with your process and how efficient you are. I especially appreciated the ongoing contact which was very reassuring from overseas. I will definitely be recommending your services. Thank you so much for your timely reply and information. I appreciate the fast and convenient service your company has provided to me. I will give your company a very good rating on google and will highly recommend the service to my friends. We can't thank you enough for your speedy help getting these done. Thanks you so much for all of your assistance and your quick turnaround time. I am highly impressed with your business and efficiency and if I ever have to refer anyone else to do an RCMP check I will absolutely be recommending your company. Thank you so much for all your help. You made that process extremely easy and I truly appreciate it. If anyone asks me about where to do their international fingerprints, I will definitely be recommending you guys. Thank you so much for all you have done for me. I really appreciate how easy you've made this for me. Thank you very much for the news. I am impressed how fast you are answering the messages, how helpful and knowledgeable you are and how smoothly and fast is everything working. Thank you very much for your help again. I am happy to write you very positive review. It was my pleasure doing business with all of you; in order to obtain my wife's criminal record from RCMP. All informations were helpful and precise. Your experience and dedication is outstanding. You showed me what really good customer service is! I will recommend you to everybody as A++company. Many thanks for your prompt responses. I would like to recommend your services to one of my colleague Mrs Khadija Al Ehashim looking for similar service, and I am confident you will be able to facilitate her. Just wanted to say thanks again you guys have been great with helping out and keeping in contact. Will be recommending your service to anyone who asks about it. Thank you so much. I will refer you in the future for your great service! Thank you for providing such excellent service. I will be leaving a positive review on Google. I was really worried how I was going to get this requirement for Police Verification certificate from Canada for a resident of India sitting in Ecuador due to my employer project need. EWF explained the steps walked me through fully supporting at every step and got it done very fast. Thanks a ton, keep up the good work. Many thanks for the services I have received. You have all been very helpful and I am very grateful. That was extremely fast. Really appreciate everything you did for us. Let me register my sincere appreciation for your prompt action. Thank you for all your help and support in expediting these documents. I had an amazing experience with the company. They were very fast to reply and to complete the process and solved out every problem very quickly. They have excellent customer service, I would definitely recommend EWF. Thank you very much for going above and beyond, it is very much appreciated. I will be sure to leave a recommendation on Google to you. Those are great news! Thank you very much for your help and for processing it very quickly. Thank you very much for the speed at which you processed our request. We are very appreciative as we will be able to meet our deadline. Thank you for your assistance, both over the phone and via email. It was a pleasure talking to you and I will recommend your services to any other Canadian down here requiring a police check. Thank you Avtar. Appreciate the service. I am very much pleased with the efficient and communicative service, Avtar you gave me through my mobile phone with the notification of the delivery and very surprised how fast it took for the certificate to be sent over. I would also like to express my thanks and gratitude for having used your services for the quick process of my Canadian background check and with this I am now able to be gainfully employed in my preferred industry of work here in the UK. I shall without doubt recommend your services to anyone in the near future should they wish to require a reliable identification and fingerprinting service in Canada from UK. I just wanted to thank you Chamkaur for your services. Your timely services have made this arduous task easier for me and I thank you. Thank you very much for your quick action. Your services is very much appreciated from my family and I. Thanks so much for your quick and professional work. Much appreciated, I will recommend you to all my expat colleagues over here. Thank you for your help, very happy with your service and all the correspondence I received from your team. I will be recommending your company to any friends I have in my situation. Many thanks for this. Much appreciate your professionalism and speed. That's excellent - thank you for the professionalism. Thank you for your prompt and professional service. You have made this process very painless. I will be sure to refer to any colleagues looking for the same service to you business in the business.. I appreciate this so very much. Avtar. I have received an email from ICCRC today that they have received my police certificate from RCMP today. I wanted to thank you immensely for this prompt and professional service. Thank you very much for facilitating my police certificate. We appreciate your excellent services and surely we will recommend your company to friends and family who will need such services. We used East West Fingerprinting while working on my husband's immigration paperwork to become PR. We thought this process was going to be difficult and arduous, especially because we were outside of the country and doing everything on phone and email-but Avtar was so helpful and always returned our emails/phone calls within minutes and was very clear with his answers to my questions. I would 100% recommend this company and would gladly call them again for assistance in the future. Thank you very much for sending the report so quickly. Your prompt assistance has been very much appreciated. Greatly do appreciate for your work! Fabulous guys!. I sincerely appreciate your effort in getting the certificate within such a short period of time. Fantastic. Thank you so so much I really appreciate your help in getting my police check. I would like to thank Avtar and his team at East West Fingerprinting for their help in obtaining my criminal record while I was living in Ecuador. They answered all of my questions promptly and effectively and made a difficult procedure very smooth. I received my results very quickly because of their assistance and professionalism. I would highly recommend their services and would contact them again in the future. Thanks Avtar, you 're a Top Man! We will recommend you to anyone else that needs the service. Just wanted to thank you Avtar, for the quick update of my case: my husband and I really appreciate your professionalism and the importance you are giving to it. Thanks so much for all so happy and congratulation for all your service and support. Definitely recommend you with my people around.